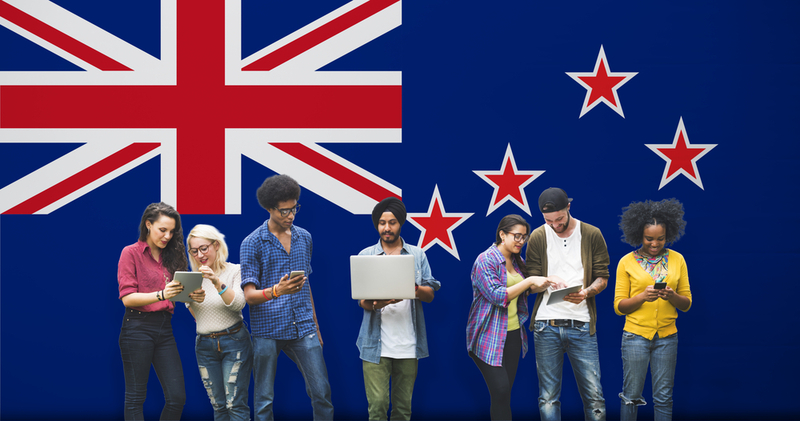 The number of people moving to New Zealand eased slightly in the 12 months to January 2018 with students from India and China down significantly. Annual net migration had reached a record high of 72,400 in July last year, but that has now slowed to 70,100, according to the official data from Statistics New Zealand. The combined number of arrivals on student visas from India and China, New Zealand’s two largest education markets, fell by 1,000 to 11,100 in the 12 months to January 2018. Those arriving from India to study, and intending to stay in New Zealand for at least a year, fell 10% which is 45% below a recent peak when 10,600 Indian students arrived in the year ending January 2016. Migrant arrivals from China on student visas dropped 6% but the figures show that the fall from these two countries was almost offset by increased numbers from other countries. The overall number arriving on student visas was 24,100 in the January 2018 year, down just 150 from the January 2017 year. Overall migrant arrivals were 132,000 and departures were 61,900 and the figures also show that 24,900 migrants arrived from Australia and a similar number departed for Australia. ‘Over half of migrants arriving from Australia are actually returning Kiwis who have been living across the Tasman for more than a year. The number of migrants going back and forth to Australia in the past year almost balanced each other out and the net gain was just 40 people in the last 12 months,’ said population insights senior manager Peter Dolan. That means net migration’s contribution to New Zealand’s population growth in the January 2018 year mainly reflected a gain of 70,100 people from other countries around the world. The biggest increase in numbers was from China with a net gain of 9,300 over the year, followed by 6,700 more from India, 6,100 from the UK, 4,900 from South Africa, 4,800 from the Philippines, 3,300 from France and 3,000 from Germany. Official figures also show that for the first time in five years, total overseas visitor arrivals in January were down on the same month a year before, with a big drop from China, as they reached 379,200, down 1,800 from January 2017. However Dolan said this may have been affected by the timing of the Chinese New Year, a peak holiday travel season. It was in late January in 2017 but in the middle of February in 2018. ‘The overall fall in visitor arrivals was driven by a 31% drop in visitors from China. The number fell from more than 54,100 in January 2017 to 37,300 this year. However, rolling weekly provisional figures show arrivals from China are picking up in February 2018, as expected, with the start of the Year of the Dog,’ Dolan pointed out. The drop in visitors from China in January was mainly offset by increased numbers from most other countries, including the United States, Australia, and the UK. Despite the dip for the month, visitor arrivals for the year ended January 2018 numbered 3.73 million, some 5% above the January 2017 year.